Do you really understand the Chinese characters ? Mandarin garden show you ! Everybody! How long have you studied Chinese? And When you are learning Chinese,did you think about why this characters look like this appearance,sometimes? Today,I will share you some characters’ Pictographic meaning to help you learn Chinese deeply. 1. “舒(shu)”：Willing to give others, you will reap happiness. The left character is "舍(she)", means be willing to part with.The right character is "予(yu)", means give.that’s willing to give. The so-called "comfort", that is “willing to give others, you will reap happiness". 2. 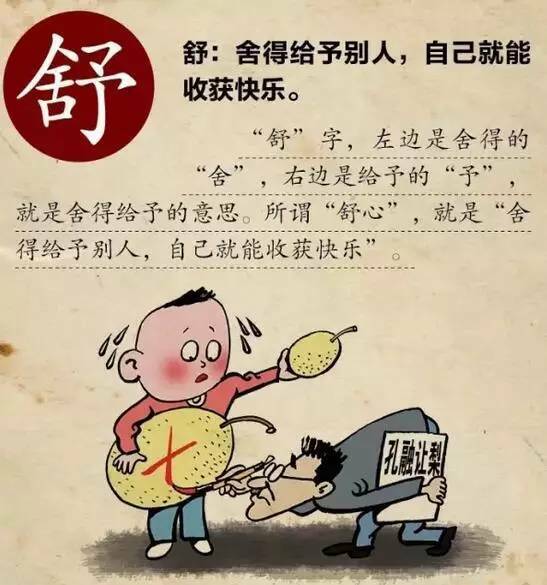 “福(fu)”: If you have clothes and eat, you will get happiness. 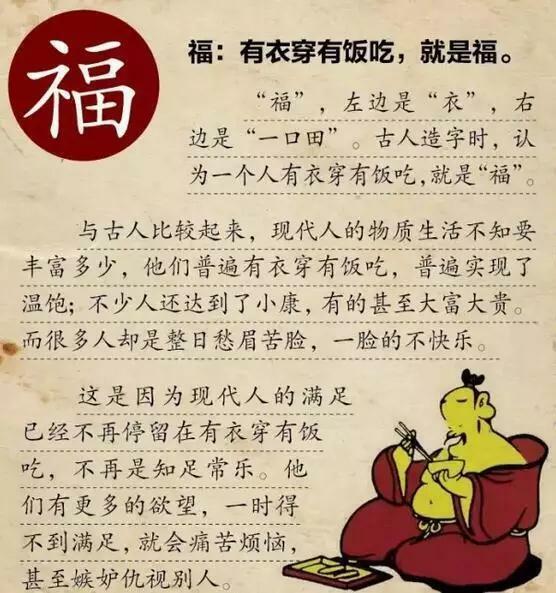 The left character is "衣(yi)", means clothes.The right character is "一口田(yi kou tian)", means food.In the creation of Chinese characters, the ancients thought that a man had clothes to wear and food to eat, that is "福Fu",means happiness.And a man who is contented will be happy. 3.”途(tu)”:Allow for unforeseen circumstances,you will have more ways in your life. 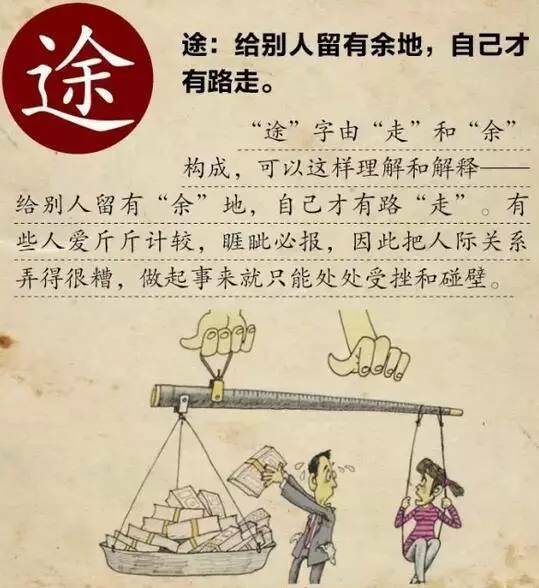 The left character is "走(zou)", means ways.The right character is "余(yu)"。We can understand that some people are so preoccupied and this will make the interpersonal relationship become very terrible,then,things will be frustrated and rebuffed. Mandarin Garden Education Group is a professional Chinese foreign language teaching institution. It is a platform for Chinese language & culture, communication, cross-cultural communication skills training and teacher training! Especially,in the summer camp in China,you will receive more about Chinese characters’ culture which is very interesting.Chinese summer camp is in the hot enrollment !